WHITLEY’S RETURN: Lawrence Greenwood has released a stunning new album called Even The Stars Are A Mess. This is an important declaration from Whitley, aka Lawrence Greenwood, who wrestled with existential questions and primal lust on his grandiose second record Go Forth, Find Mammoth, before embarking on a “farewell” tour. He then disappeared into the world, departing the spotlight of the Australian touring circuit. An artist that felt constricted by his creative situation, Greenwood journeyed to London and then off to Cuba, Panama and Peru. He ventured into the jungle to find peace, and the aid of hallucinogenic substances provided a different prism through which to examine his internal and external world. An epiphany on the Mexican coast confirmed that he would make a third Whitley album. The revelations gleaned from Greenwood’s global sojourn are presented on Even The Stars Are A Mess against a backdrop of slow, hypnotic rhythms and gentle, lulling song structures. 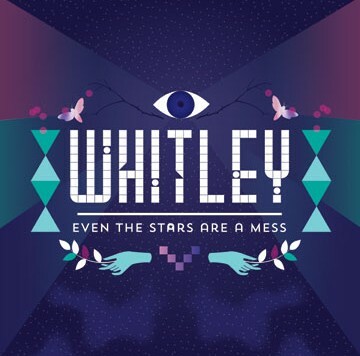 Whitley’s third album Even The Stars Are A Mess. Since his 2007 debut LP, The Submarine, Greenwood’s lyrics have suggested a man in search of answers. His questions are big and dwell on the universe and how to navigate it. On The Submarine‘s track “The Life I Keep’, Greenwood sang “I still haven’t found what I’m looking for, I still haven’t found what I’m searching for…” with a warm, positive tone and an acoustic guitar. His debut was classically romantic and imbued with reverence for the grandeur of life and love. “I want to feel the rain pouring down, I want to feel the cold raising hair…” Greenwood sang on ‘A Shot To The Stars’. 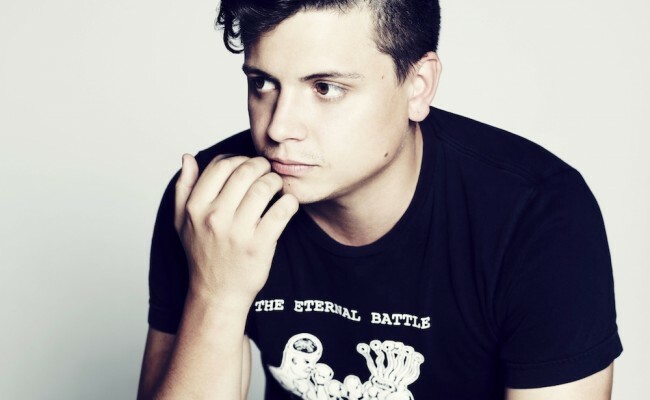 His follow-up, Go Forth, Find Mammoth, was a lush, layered pop record that belied its dark subject matter. It is unlikely that the irony of his adoring female fans singing the unsettling lyrics “I am sitting, waiting and wishing that I could hunt you like a killer“, on the radio hit ‘Killer’, was lost on Greenwood. But on Even The Stars Are A Mess, the songwriter trades lust for wanderlust. From opening track ‘The Ballad of Terence McKenna’, a nod to the American psychonaut and writer, Whitley’s third album uses hypnotic repetition across nine songs. Varied rhythms give each track its own character, from the heartbeat syncopation of first single ‘My Heart Is Not A Machine’ to the trip-hop procession of ‘Final Words’. From start to finish, Even The Stars Are A Mess is a cohesive, entrancing aural experience. An exercise in emotive minimalism, the album is also Greenwood’s best vocal performance. Songs like ‘Alone, Never Alone’ and ‘OK’ are the work of an assured and talented melodic craftsman. Greenwood might not have found every answer he is looking for, but now he is clearly asking questions from a much happier place.